Skinned from car Jan. 2, 2015 starting at the fire road by Jenks lake area to Dollar Lake/ Dry lake trailsplit. Coverage thin at road but improved with elevation. 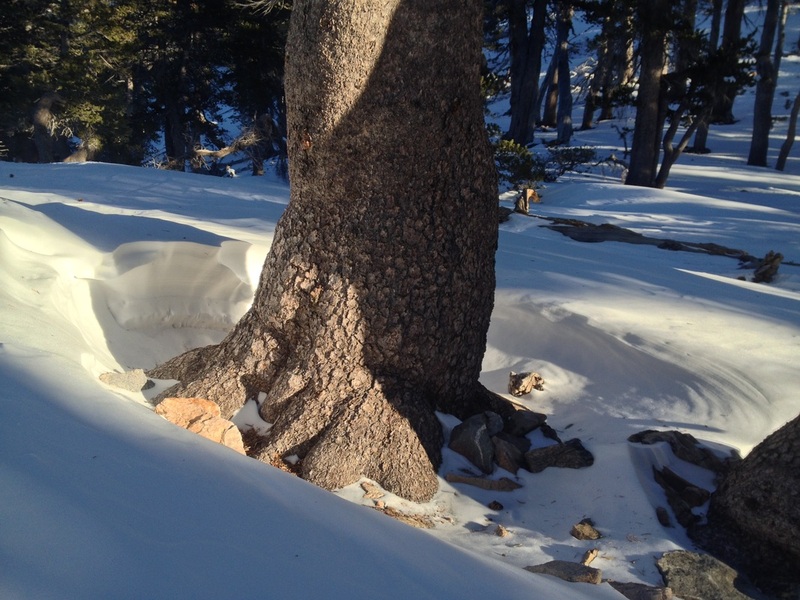 Westerly slope around 9,800'/ 2,987m had extreme variations from wind crust and melt freeze crust 1" / 2.5cm to 2"/ 5cm thick on top of faceted grains and right next to light soft low density snow in small pockets of shelter from the new years eve storm. There was no base under this easily sinking to ground and obstacles even in 2'/ 60cm + snow Ski pen varied from 2"/ 5cm to 10"/ 25cm depending on elevation and aspect. 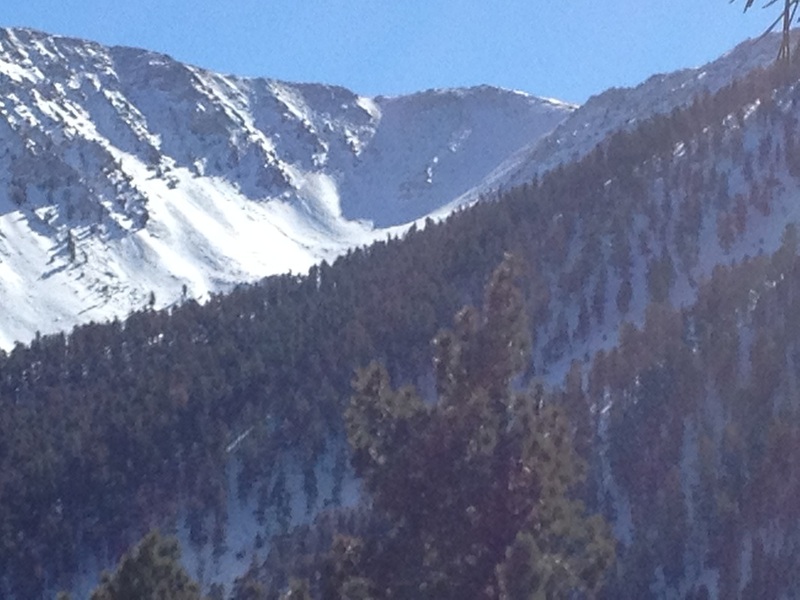 Loose point release slides were observed in the gullies on the west aspect of Mt. San Gorgonio. Loose faceted grains were observed in almost all areas of the snowpack just a few inches below the surface or in the base of the thicker snow packs.